What is R1Soft Remote Backup? 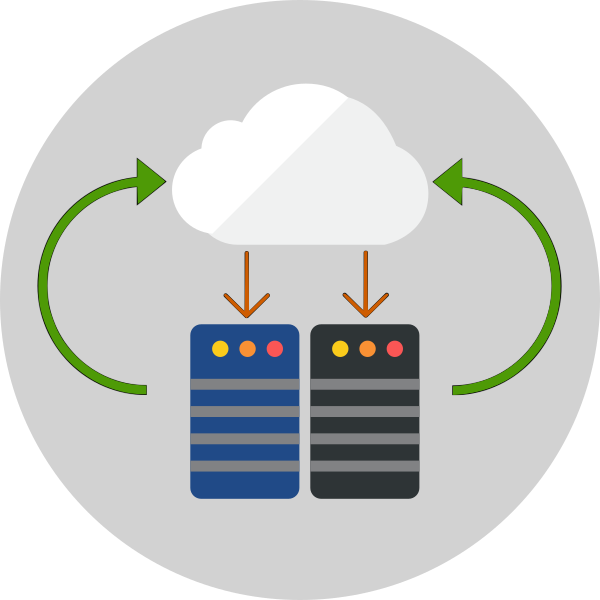 R1Soft is a continuous disk based backup system designed specifically to give peace of mind when protecting server software and data. Mydataknox R1Soft backup provides this protection by providing replication snapshots and archives allowing you to roll back your server data to any point that has been backed up previously or even do a full bare metal restore of your server. Incremental backups are done at the block level instead of the file level! Block level backup provides several advantages including the speed of completing a backup operation, a drastic reduction in disk and network I/O, the ability to perform backups as often as every 15 minutes and no performance penalty for servers having a large number of files. Individual recovery points are easily accessed through the web interface where users can select individual files, directories or entire file systems to be restored within minutes. When disaster really strikes, a complete server can be recovered using a Bare Metal Restore keeping downtime and data loss to a minimum. You can backup physical and virtual servers running Windows or Linux. Linux support includes RedHat, CentOS, Ubuntu, Debian, SUSE and most custom kernels. VMWare, Hyper-V, Citrix XenServer, Parallels Cloud Server, Parallels Virtuozzo and KVM..it’s all supported. You can backup Microsoft SQL Server, Exchange and MySQL/MariaDB/Percona servers!